The first show I saw was MarchFourth Marching Band. I’d heard them in the distance at last year’s Wakarusa, but hadn’t gotten the chance to see them. This time, I made it a point to catch at least one of their sets. I am so glad I made that decision...really, it was one of my best! Not only is a MarchFourth show super jazzy and danceable, but they also have stilt walkers on stage, acrobatic tricks, dancers and a plethora of instruments on stage. So if you’re not in a get-down kind of mood, there’s something for you, too! I highly recommend attending a MarchFourth show at some point in your life. Wakarusa would not be complete without a huge, acrobatic marching band! After some dancing madness in the rain, I headed to The Devil Makes Three. I’d never heard this band before, but had been told many good things. Tip: They were all true. The band’s performance is simple, direct, honest and infused with whiskey. Their songs are timeless, both lyrically and aurally. The three members had most of the audience on their feet and stomping all over the Revival Tent. And when it comes to folk music, the more dust the better. As I was leaving The Devil Makes Three, I ran into the MarchFourth Marching Band heading towards the costume contest! I didn’t get to stay as a result of needing food in like woah. But luckily, I got to preview the costumes as they paraded through the crowd. I couldn’t possibly pick a favorite costume, but luckily judges have done that for me; I’ll have to check out the results of the contest whenever they’re posted online...and you should too! 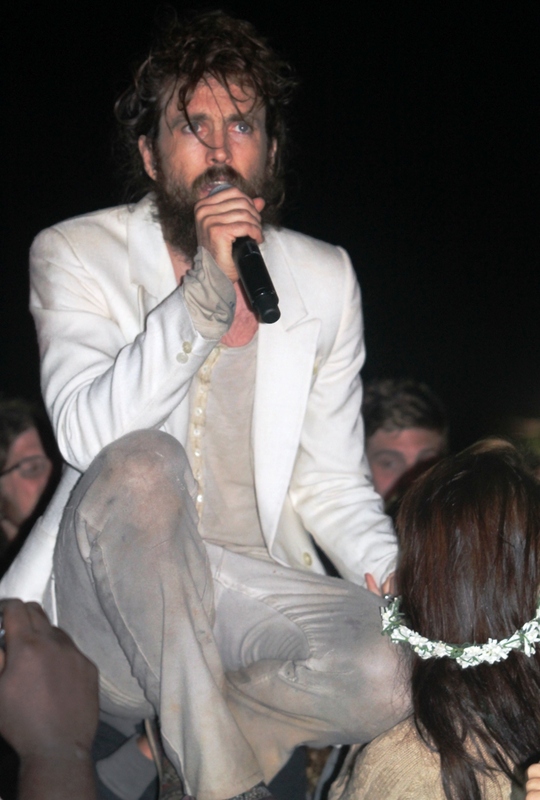 Edward Sharpe left the crowd buzzing and ready for another great show. Luckily, The Avett Brothers were up next. I was basically exhausted but made myself stay awake for their 2-hour set. Thank God I did. The group performed song after song, with little talking in between. 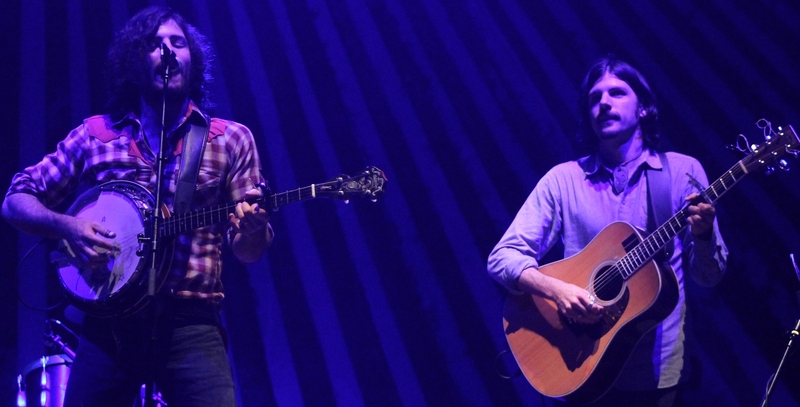 They were truly performing for us and put on one of the best shows I’ve seen from a band like The Avett Brothers. The songs they chose were old, new and in between. Some of my personal favorites that were played are “Colorshow”, “January Wedding” and “Traveling Song”. The performance was seamless, very high energy (even the slow songs) and was exactly what I wanted to see out of a show from The Avett Brothers. After so many great shows and so much foot-stomping music, there was only one thing left for me to do: Go to bed. So I did...but it took me awhile as Girl Talk was playing his set on Main Stage, which I can hear perfectly from my campsite. I wasn’t interested in seeing Girl Talk but I must say, from what I heard, that show was damn good. If I’d had any energy left at all I would have snapped out of bed and headed to the stage for even more dancing! Unfortunately, I am weak and sleepy. Overall, the day was wonderful. There was a bit of rain and the night was pretty cold, but every show I saw ended up being amazing and most of them were very uplifting. This music suits this mountain and all of the people inside it right now. And now I’m off to see Balkan Beat Box, for which I’m very excited! 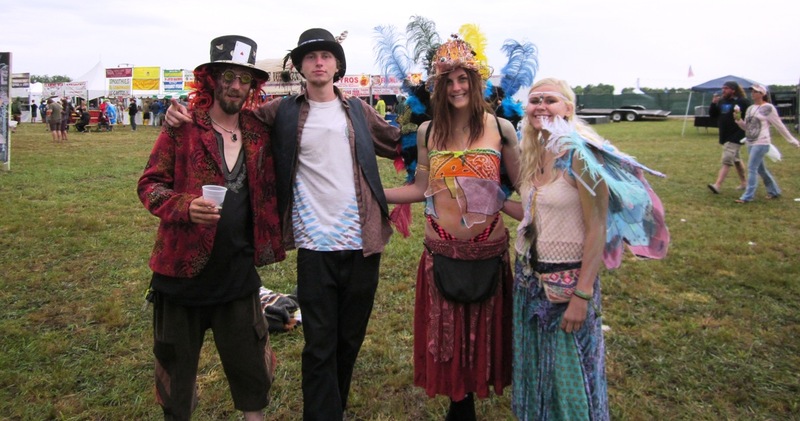 Check out more photos from day 2 at Wakarusa.